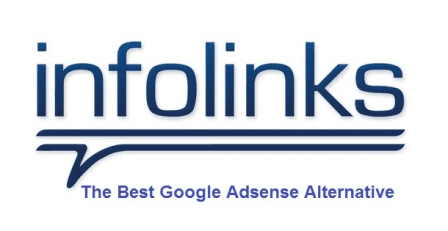 Can Infolinks become an alternative of Google Adsense or any trustworthy PPC advertising network ? Actually I don't want to write Infolinks Review but their present activities have forced me to write a few line about them.Some web expert have already explained them as one of the Best Google Adsense Alternative but question arisen here How Infolinks is the best alternative of Google AdSense? As we all know, when it comes to making money from a blog or website, Google Adsense is one of the best and fruitful blog monetization program. Most of the bloggers and webmasters give the first priority to Google Adsense for making money online. Even, if you have started your own blog then somehow you are also interested to make some decent money from Adsense. By any reason your existing Adsense Account gets disabled? I know in these situations you will try Google AdSense alternatives to make money from your blog. I have experienced most of the bloggers get confused while selecting online advertising programs. If you are also one of them then I would assuredly suggest you to use Infolinks. Infolinks is an online advertising platform which provides appropriate advertising products for the publishers, advertisers and brands. It is the bestGoogle Adsense alternative because it offers several attractive ad styles such asInFrame, InSearch, InTag and InText, which is not available with any other Website Advertising platform. Sign up process for Infolinks is quite simple from all other online advertising programs. With this ad network, you have to only enter few required details such as Name, Website link and password to Sign Up. Easy Approval process: Getting approval from the Infolinks ad network is very easier task. Infolinks will easily approve your request even if you are a new blogger. Impressively compatible with Google Adsense: This is one of the bestadvantages of using Infolinks, you can freely use it with Google Adsense at the same time without any issue. So, no need to be worried if you use both ads on your website. Decent Earnings: You will really get good amount of money for each click on the Infolinks ads and you will be paid for impressions on ads too. Undoubtedly, Infolinks pays much higher than all other alternatives ofAdSense. Easily Customizable: It offers you the facilities to customize Infolinks ads according to your wish. So, it depends on you which type of ads you want to display on your blog. Adding colour combination on ads is also much simpler. Search engine optimization (SEO): Many ad networks affect your blog SEO, but with Infolinks the condition is quite different. Infolinks ad does not hamper your blog SEO in any condition. Page load times: Any bloggers can't compromise with their page load time, all want to load their website fast. But with Infolinks ad network you can blindly trust, even its ad loads just after your website gets fully loaded. I hope these above mentioned features are quite enough to know about the usefulness of Infolinks. Here is their new video with features and description. With this online advertising program you haven't to wait for a long time to get paid, the Minimum Payment Threshold of Infolinks is $50. So as you reach at the level of your minimum payment threshold, you can request to get paid. While with other Adsense alternatives you will have to wait for a long time. Even, the minimum payment threshold of Google Adsense is $100, so you can think how much useful is the use of Infolinks. Thus, after seeing these amazing features and easiness of Infolinks we can confirmly say that Infolinks is the best Google Adsense alternative. So why you are waiting, click on the below given link to Sign Up right now. Don’t forget to share your thought via the comments - Do you think Infolinks is the Best Google Adsense alternative?